Are you looking for ways to help back pain? Chiropractic treatment for back pain is not just about hands on treatment. Your chiropractor can teach you exercises and give advice on ways to help back pain. Exercises that strengthen your core and improve pelvic stability will reduce your back pain. Life puts a lot of stress and strain through our back’s so it is vital that we strengthen back and leg muscles. This helps to build stability in the low back and minimise the pressure on the lumbar facet joints and intervertebral discs. A combination of mobility and stability exercises are required. Only by working on both will you get a reduction in back pain. Here are some ideas for exercises that will help to reduce back pain and prevent back pain returning in the future. You need to get used to doing back strengthening exercises every day. Or at least a few times a week at the very least. Little and often is the way forward. You may find it helpful to set aside 10 minutes a day to look after your back. For some people this can be first thing in the morning and yes this may mean setting the alarm for 10 minutes earlier. On a positive note it could actually help you to wake up! Others prefer doing the exercises when they come home from work or when they go to the gym. It really is up to you. It is about finding a time that works for you and that you can stick to. As always you should only follow this exercise routine on the recommendation a healthcare professional such as a chiropractor, osteopath or physiotherapist. The Great North Run is This Sunday: Leeds Chiropractor goes for glory! Finally, after all the training plans, updates and training tales, this Sunday Leeds Chiropractor Alison Eaves to take on the Great North Run. This is the final blog before the big day and includes last minute changes to the race plan and preparations for race day. I’m a competitive soul and it is with a tinge of annoyance that I have to tell you that instead of running the race as fast as I possibly can to achieve the quickest time I’m going to take it a bit steadier. I’m running with a friend and being the good soul I am, have promised to run it with her. I think we will end up a bit slower than I would have aimed for but nevertheless it will be a great day out and lots of fun. What isn’t there to enjoy about running with 40,000 or 50,000 others for 13.1 miles? I’m really excited, just a shame that the weather looks it might be a bit on the damp side. I just hope there will be plenty of enthusiastic support and lots of Jelly Babies. For those of you on tenterhooks following the mystery shower incident (see earlier blog), I’m pleased to say I’m back to full fitness and no further heel pain. I will update the blog on Monday to share photographs and evidence that I actually completed it. http://revivechiropractic.co.uk/wp-content/uploads/2015/12/Revive-Chiropractic-Logo-CSI.png 0 0 Alison Eaves http://revivechiropractic.co.uk/wp-content/uploads/2015/12/Revive-Chiropractic-Logo-CSI.png Alison Eaves2013-09-14 13:20:002015-05-27 20:35:20The Great North Run is This Sunday: Leeds Chiropractor goes for glory! What a great weekend! I went into the Leeds clinic for a few emergency chiropractor appointments on Saturday morning, caught up with family on Saturday afternoon and then ran the Wetherby 10K on Sunday. One slight problemâ€¦with just a week to go until the Great North Run I’m having a bit of heel pain. Following the 10K I felt some pain on the inside of my heel and it hurt to walk. So I poked my plantar fascia, no pain beyond the usual tightness I’d expect after a race. I checked the achilles tendon and this was not inflamed but when I rubbed a particular spot on the inside of my heel it really hurt. So I took off my sock for closer inspection and found that the painful spot was the exact same point where I had dropped the shampoo bottle on my foot in the shower that morning! There was a little red mark and a small bruise from the impact. Bizarre injury! I have obviously inflamed it a little by racing so I’ve had the ice on it. I’m actually quite relieved that it is nothing more than a bit of local irritation so it should settle fairly quickly with regular icing. And for those interested I completed the course in 50.31. A couple of minutes outside my previous best but quite happy considering I’d been suffering with a cold all last week (good excuse!). The children may be back at school this week but make sure you are helping them to avoid back pain. Alison Eaves, chiropractor here at Revive Chiropractic in Leeds, discusses some research from the British Chiropractic Association on increasing rates of back pain in children. So why is back pain affecting children and why is it getting worse? Children of today’s generation are much more sedentary than they have previously been, largely due to the amount of time spent on mobile phones, tablets, computers and social networking sites. Children are also getting much less exercise. Sitting for long periods of time can lead to the muscles, joints and soft tissues becoming stiff and painful. The use of handheld devices such as mobile phones and tablets only adds to the slumped posture and rounded shoulders. Is back pain in children normal? No : but don’t panic. Whilst back pain in children can be a sign of more underlying conditions this is very rare. Most back pain is easily treated with just a few sessions and some simple exercises and advice. Kids respond really quickly to treatment and it is important to get to the root cause of any back pain so that they do not grow up thinking back pain is ‘normal’. Firstly, get your children up and about. Limit them to about 40 minutes of sedentary activity and encourage them to get up, move about and get active. If they are sitting for any length of time, make sure they are sitting upright and not lying on their front propped up on elbow or sat slumped on the floor. If they complain of back pain or neck pain for a period of several weeks then it may be worthwhile booking an appointment to see a chiropractor who is used to treating young children. Alison is a chiropractor in Leeds and has experience treating young children and teenagers. You can visit www.revivechirorpractic.co.uk or call 0728 686026 to book an appointment with Alison. Leeds Chiropractor Alison Eaves discusses the issue of whether Chiropractors should be following Physiotherapists and Podiatrists and asking for prescribing rights? It was a couple of weeks ago that it was announced Physiotherapists and Podiatrists had been awarded prescribing rights. This means that, subject to further training, they will be able to prescribe medication such as painkillers without having to speak first to a patient’s GP. The argument goes that if they can prescribe painkillers and save on a GP consultation then this frees up appointments in GP surgeries for those in real need. I see no problem with this, given appropriate training and support is in place. Prescribing rights for Chiropractors has been debated within the profession for a number of years but we don’t seem any closer to a consensus. Historically, Chiropractors have described their profession as â€drug-freeâ€ and have always been against prescribing rights, but there are some calling for a change. I for one support this change, for those Chiropractors, like myself, who want to push the profession forward and offer the best possible service to our patients. Do I think every patient with back pain needs painkillers? NO. Do I think that painkillers are without side effects? NO. Do I think taking painkillers to mask the pain is a good idea? NO. But I do think that in certain cases patients can benefit from a short course of medication for pain control. I think that Chiropractors are in a great position to know and understand their patient’s needs, and decide where medication may be appropriate. Currently you have to wait for a GP to prescribe medication which may take several days or even weeks by the time patients can get an appointment with their GP. I understand that some Chiropractor’s would not want prescribing rights. Fine, individual Chiropractors can decide whether it is the correct decision for them and their style of practice. I personally don’t think that every patient over the age of 50 presenting with back pain needs an x-ray (and in fact rarely request x-rays)but some Chiropractors would disagree. I wouldn’t stop them from practising in this way, as long as they can justify their method of practice with good evidence and reasoning. But by blocking prescribing rights for all Chiropractors, you limit the scope of practice of others who are keen to have that skill and knowledge? Surely if it is in the patient’s best interest then that is what counts? There are so many differences in the style of practice of different Chiropractors anyway that I don’t think the issue of prescribing rights will make any difference to the public perception of our profession. http://revivechiropractic.co.uk/wp-content/uploads/2015/12/Revive-Chiropractic-Logo-CSI.png 0 0 Alison Eaves http://revivechiropractic.co.uk/wp-content/uploads/2015/12/Revive-Chiropractic-Logo-CSI.png Alison Eaves2013-09-02 16:28:002015-05-27 20:13:25Prescribing rights for Chiropractors? Leeds Chiropractor Alison Eaves reviews today’s media reports hailing broccoli as a wonder food for arthritis. As a chiropractor in Leeds I see lots of patients with back pain and neck pain and lots of patients with osteoarthritis of the spine, hips and knees. So it’s interesting to see the news reports today discussing a trial looking at the effect of eating broccoli. The ‘supercharged’ variety of broccoli is different to your average supermarket broccoli as it contains a super nutrient. The special ingredient is a glucoraphanin compound that the body utilises to produce another chemical, called sulforaphane. This compound has been found to block an enzyme that plays a role in destroying articular cartilage. To date the studies have shown that this sulforaphane compound blocks destructive enzymes in rats but we don’t know if the compound has the same effect in human tissue. But is this research really new and ground-breaking? We know that a healthy diet packed full of green leafy vegetables has numerous benefits on our wider health. Vegetables are packed full of vitamins and minerals and specifically anti-oxidants that are known to help tissue healing and have anti-inflammatory effects. So it seems logical that the next step is to try and isolate the specific compounds within certain foods and find ways of utilising those compounds. Watch this space! http://revivechiropractic.co.uk/wp-content/uploads/2015/12/Revive-Chiropractic-Logo-CSI.png 0 0 Alison Eaves http://revivechiropractic.co.uk/wp-content/uploads/2015/12/Revive-Chiropractic-Logo-CSI.png Alison Eaves2013-08-28 20:38:002015-05-27 20:35:22Eat That Broccoli! Less than 6 weeks to go until race day for Leeds chiropractor Alison Eaves. I’m well into the training now having reached the halfway point of my 10 week half-marathon training schedule. Training is going well; I’m getting further and faster and so far have run up to 8.5 miles. Some of you may realise that this is still almost 5 miles short of the required 13.1 miles required for the half-marathon distance of the Great North Run. But don’t panic, I shall be running 10 miles this weekend and 12 miles in a couple of weeks to make sure I’m ready. I even went out running on Sunday whilst at home in Birmingham where the weather was atrocious! You can see from the photo how soggy and sorry for ourselves we were on our return after an hour and a half of running in the torrential rain. Busy weekends consisting of weddings and trips to see family have eaten into training time somewhat and curtailed some training sessions but I’m broadly on track. I have completed the majority of my 3 sessions a week, which is more than can be said for my running partner. I’d been hoping for a sub 2-hour (and hopefully sub 1:55) time but I think I’m going to do the honourable thing and run the race alongside my other half who I think will be a bit closer to the 2 hour 10 mark. I’m determined not to waste all the hard training though and am looking to enter the Cardiff Half Marathon on the 6th October 2013. The Cardiff Half Marathon has become the second largest half-marathon in the UK so another great event to look forward to being a part of and hopefully will bring a personal best performance. All this running is starting to make the body ache a bit. I have been having regular chiropractic treatment from a colleague for all my running injuries and niggles. I have never been as stiff and achy since I started this training program and they say exercise is good for you?! Look out for the next blog when we discuss what food you should be eating to make you run fast. Alison Eaves is a chiropractor at Revive Chiropractic in Adel, a suburb or Leeds and has the following advice for anyone who is worried about back pain ruining their summer holidays. Blistering sunshine has given way to thundery downpours just in time for the first week of the school holidays. Whilst you can’t do much about the weather, you can take a few simple steps to help look after your back. I see lots of back pain patients who get very anxious about how they will cope on a long car journey or long flight. In actual fact many patients cope much better than they think they will and I think this has a lot to do with being on your holidays and so being relaxed. Anxiety will cause your body to become more sensitive to pain signals whereas clinical studies have shown that relaxation techniques reduce the perception of pain. If you are staying in an apartment and have access to a freezer then take an ice pack. This will help with any acute inflammation arising from the flight or your travel to the holiday destination. Applying ice for 15-20 minutes a few times a day will help settle down symptoms. If you don’t have a freezer then you can always ask the hotel barman to spare you a bag of ice. Taking a tennis ball with you is a great massage tool for those emergencies when you get a muscular ache. Use it like a massage ball on the painful area for 5-10 minutes daily. A rolled up towel or the sleeves of your jumper do a great job of acting as a lumbar support for the low back when sitting. This supports the lumbar lordosis and maintains normal spinal curvature to minimise stress and tension on lo back structures. It also helps to maintain correct posture that will help with upper back and neck problems. I don’t advise sitting at your desk for more than 40 minutes so why would you sit in the same position for 4 hours in a car or on a plane? Get up and move about as this resets the stretch receptors in your muscles and keeps your body alert. If you are in the car then pull into a services or a layby and just have a 1 minute walk about before continuing. Remember that you will have to carry whatever you take. Do you really need all that extra stuff? Is it worth the added trouble of carrying it? Have a great summer holidays and com and find me at Revive Chiropractic in Leeds if you are still struggling after the holiday. You can book an appointment by calling 07828 686026. Did seeing a Chiropractor help Andy Murray Win Wimbledon? Andy Murray 2013 Wimbledon Men’s Singles Champion. Sounds good doesn’t it?! Huge congratulations to Andy on a fantastic sporting achievement. Sporting success today relies on sportsmen and women having the support staff alongside them to achieve their dreams and Murray is no different. Alongside the physiotherapist, massage therapist, psychologist and nutritionist we are now seeing an increasing number of chiropractors treating the top athletes. Jean-Pierre Bruyere is the all-star chiropractor of the tennis world and has worked as resident chiropractor for the Lawn Tennis Association and with Andy Murray. Chiropractors are now commonplace in the world of professional tennis with many of the game’s top players travelling with a chiropractor and chiropractors are present at almost every top tennis tournament. Most people think of tennis elbow as the top tennis sporting injury but this is not true says Leeds Chiropractor Alison Eaves. “Because of the rapid change of pace and subsequent deceleration it is lower extremity injuries that cause tennis players the most problems. Achilles tendonitis, infrapatellar tendonitis, strained gastrocnemius (calf muscle) and sprained ankles are some of the most common tennis injuries. The overhead serving action plays havoc with backs and knees as well as the shoulders. And tennis, perhaps more than any sport relies heavily on a good strong core and good balance in order to time the striking of the ball and control the power generated. Perhaps this is why so many tennis players are utilising chiropractorsâ€? 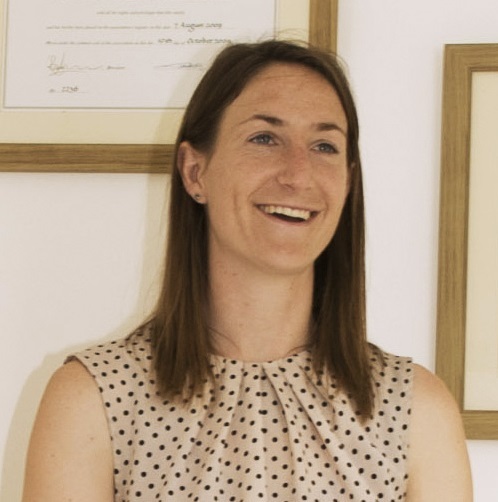 Revive Chiropractic is based in the North Leeds suburb of Adel and chiropractor Alison Eaves is available to help with all manner of tennis injuries. http://revivechiropractic.co.uk/wp-content/uploads/2015/12/Revive-Chiropractic-Logo-CSI.png 0 0 Alison Eaves http://revivechiropractic.co.uk/wp-content/uploads/2015/12/Revive-Chiropractic-Logo-CSI.png Alison Eaves2013-07-08 12:09:002015-05-27 20:35:24Did seeing a Chiropractor help Andy Murray Win Wimbledon? Is texting becoming a pain in the neck? The increasing use of smartphones and tablets is causing more people to suffer from back pain and neck pain says Alison Eaves a Leeds Chiropractor. “Text neckâ€ is a term originally used by a California Chiropractor to describe the pain associated with overuse of smartphones and tablets associated with poor posture. Often these handheld devices cause us to end up in a position whereby the head comes forward and the shoulders become rounded. This puts additional pressure on the joints, muscles and ligaments of the neck, shoulders and back and can lead to pain and stiffness. As humans we have evolved to move in an upright posture and so the weight of the head should be directly downwards through the spine. Sitting in a slouched posture and using these devices causes the weight of the head to be spread through the joints in an uneven manner, placing them under additional strain. The result can be neck pain, headaches and shoulder and back pain. Often this continues for many months at a low level and becomes a chronic (long term) problem. “I am definitely seeing more and more patients in their late teens and early twenties coming to see me as a chiropractor, complaining of neck and shoulder pain. In many cases this is caused by poor posture and excessive use of smartphones and more recently iPad’s and other tabletsâ€. Try to ensure you are sitting in an upright position with the spine straight and the shoulders pulled back. This will help to bring the head and neck back in line with the spine. Aim to maintain good posture when using a smartphone or tablet. If you find yourself hunched up over your smartphone or tablet then get up and move. You should always be aiming to change your position every 15 to 20 minutes anyway to prevent muscle fatigue and muscle strains. http://revivechiropractic.co.uk/wp-content/uploads/2015/12/Revive-Chiropractic-Logo-CSI.png 0 0 Alison Eaves http://revivechiropractic.co.uk/wp-content/uploads/2015/12/Revive-Chiropractic-Logo-CSI.png Alison Eaves2013-07-05 12:29:002015-05-27 20:35:25Is texting becoming a pain in the neck?